Maxie, you don't want a facefull of water, do you? Too bad! A touch faucet would be so much fun! 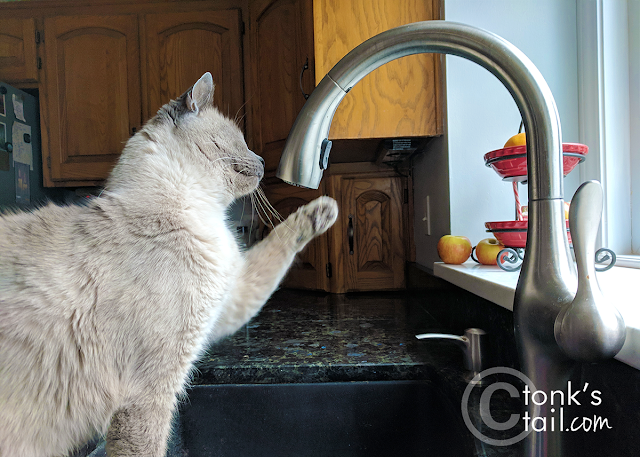 That would of been so cool to have fancy faucet that turns on every time you wave you paw in front of it. That wouldn't drive the humans crazy. LOL. Thanks for the share. Have a great upcoming weekend. Mom almost got the touch one when she bought the new faucet last year. Thank goodness she didn't because kitty sis Sophie would have been all over that! 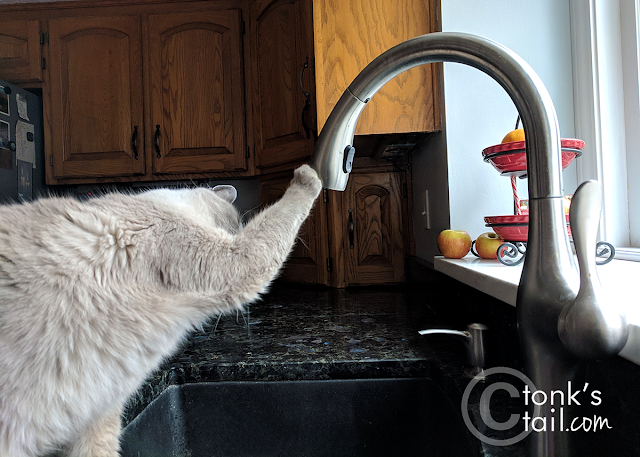 Oh the fun you could have with a touch faucet!